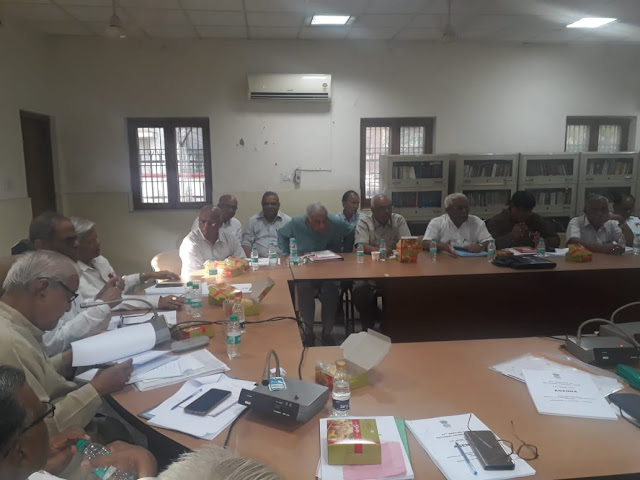 The 23 rd AIC of NAPE Gc was held at Sant Raja Ram Ashram ,Shikarapur (LUNI) , Rajasthan from 22.04.2019 to 25.04.2019 during Golden Jublee year of NAPE Group 'C. 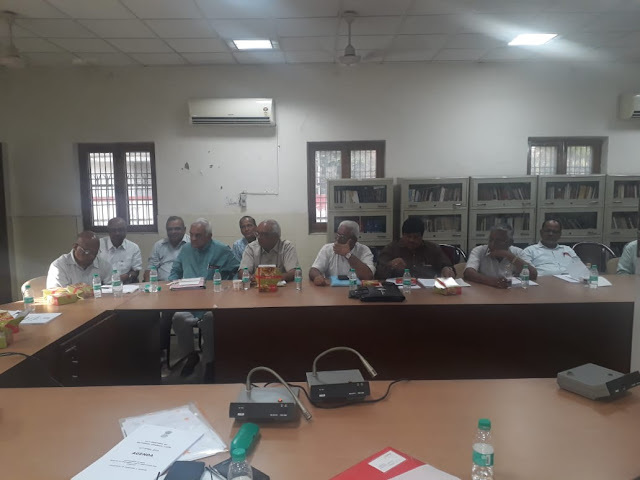 The open session held on 22.04.2019 at 7 PM. Sri.Hari Singh Mehla Chairman of the Reception Committee and Circle President of NAPE Gc , Rajasthan Circle welcomed all the delegates and visitors. Sri.Mahant Dayaramji inaugurated the Conference and Sri.D.Kishan Rao, Member NC JCM delivered key note address. 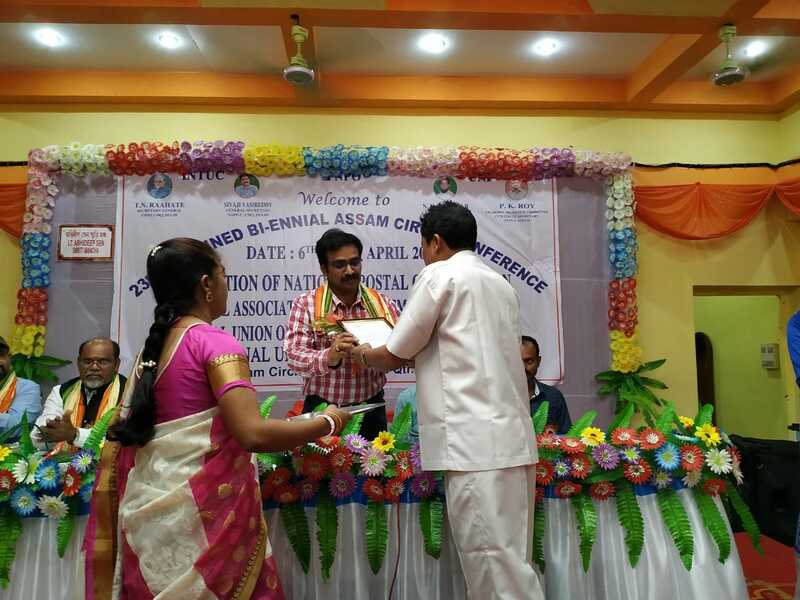 Sri.T.N Rahate SG FNPO , Sri.P.S.Babu Ex.GS NAPE Gc, Sri.Manik Chandra Dey President NAPE Gc, Sri.Sivaji Vasireddy GS NAPE Gc, Sri.Rakesh Bhatia GS , AIPOA(FNPO) were also graced the occassion and addressed the gathering. 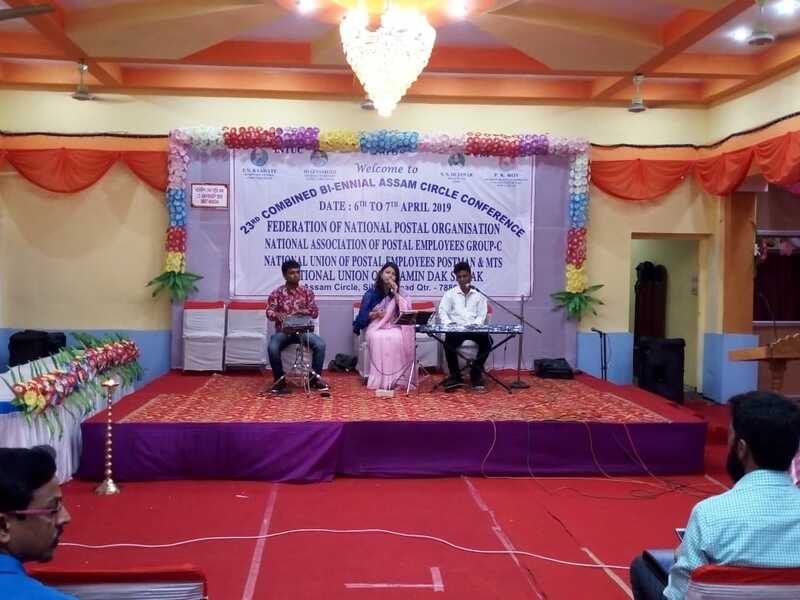 More than 1000 delegates/visitors attended to the conference from all the corners of the country. 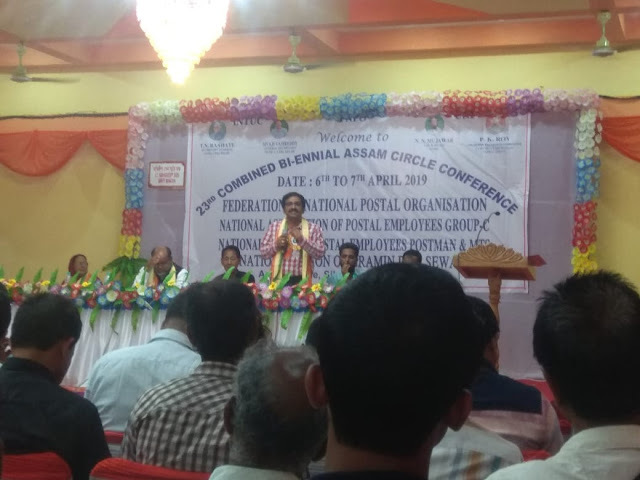 General Secretary has clarified all the issues raised by the delegates and also explained on going developments about the Department of Posts. The following office bearers are elected unanimously. Org.Secretary : Madan Lall , Haryana. 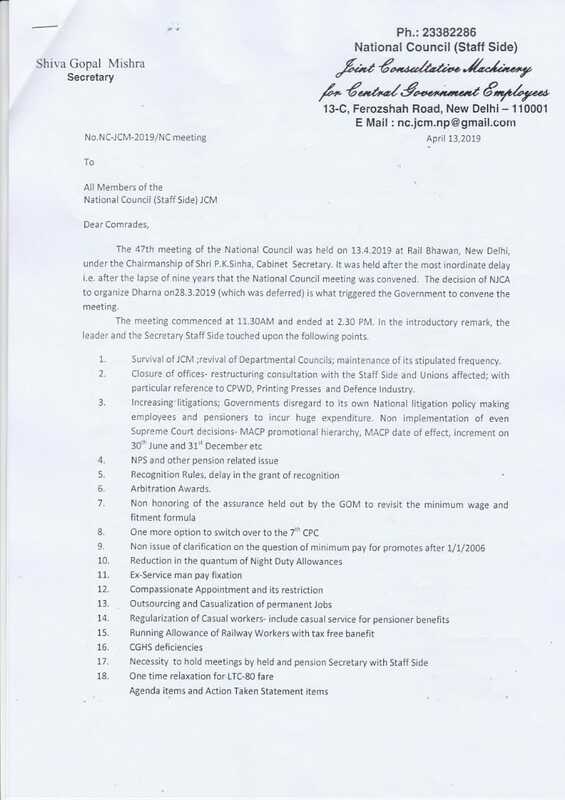 The following Circles expressed willingness to hold the next AIC. 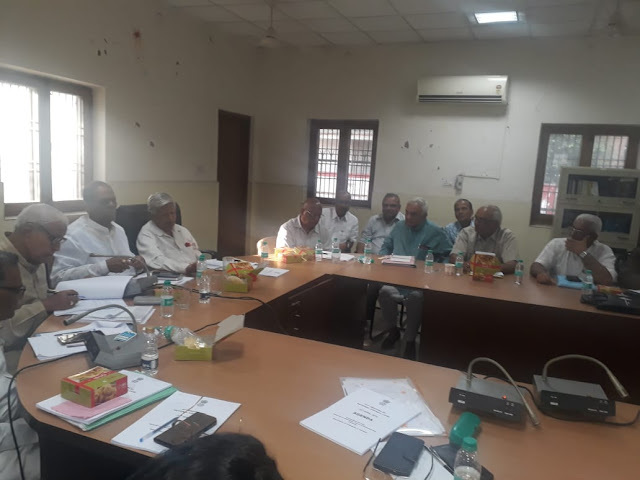 CHQ conveys sincere thanks to the reception Committee headed by Sri.Dr.Bhaghawanram CS , Rjasthan , Sri.Hari Singh Mehla President , Rajasthan and Sri.BabuLal Patel D/S Jodhpur for arranging good arrangements to all delegates/visitors. 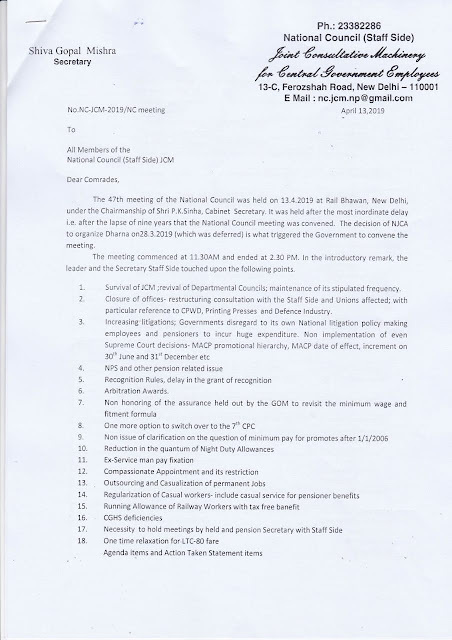 47th Meeting of National Council (JCM ) Meeting held on 13.04.2019 : Issues raised by Staff Side. 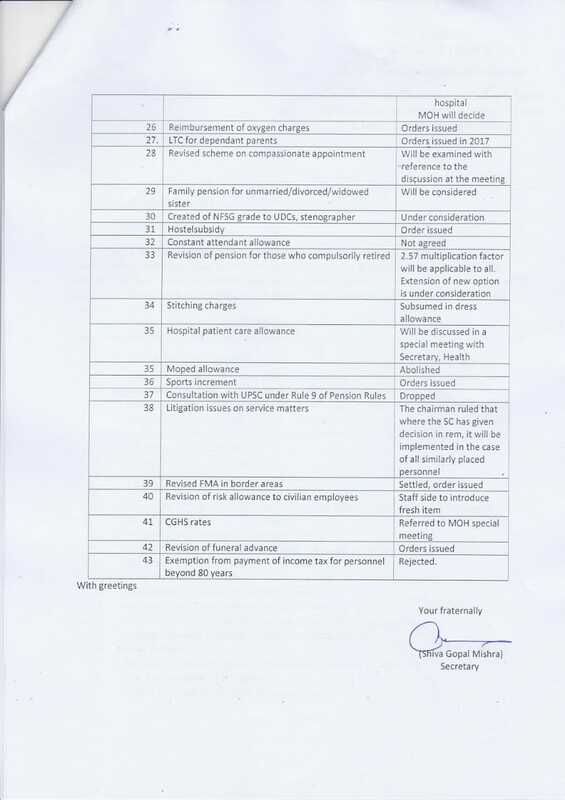 Finalization of Annual Sports Calendar for the year 2019-20 reg. 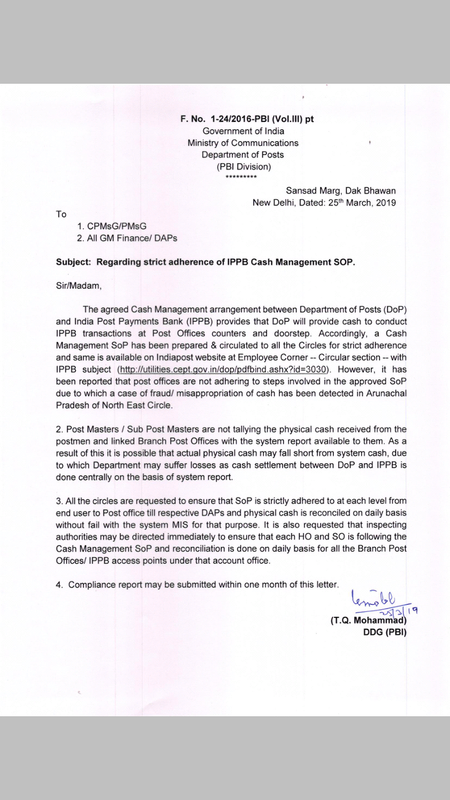 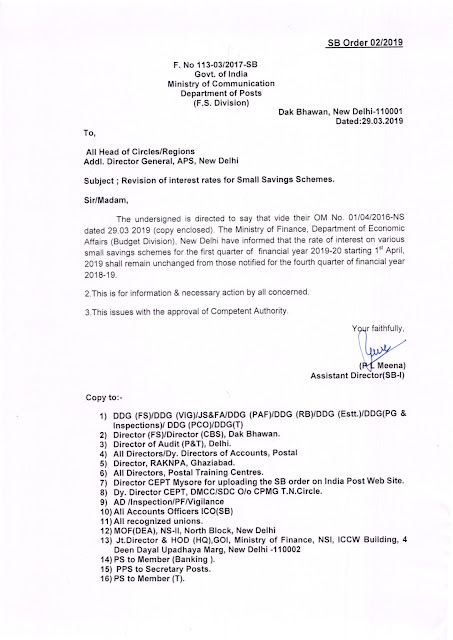 Transparency audit of Suo Moto disclosure package of Department of Posts under Section 4 of the RTI Act,2005-Reg. 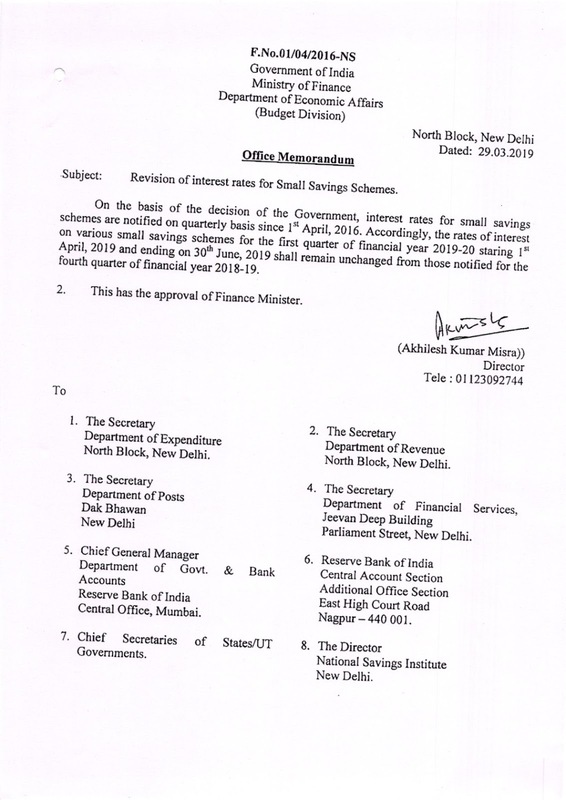 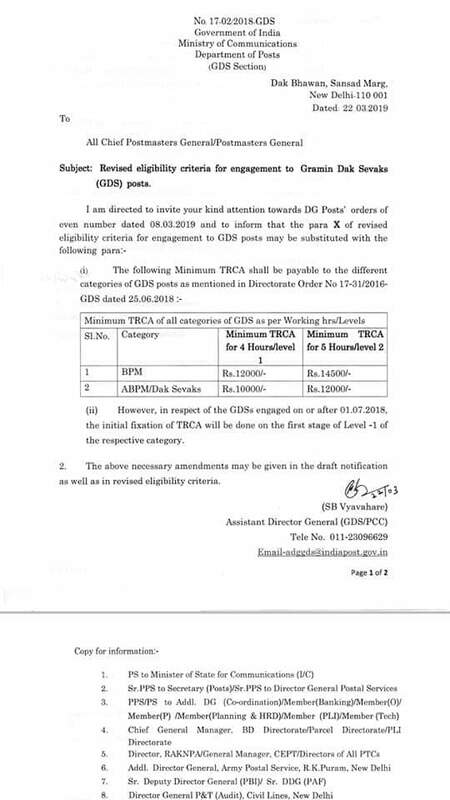 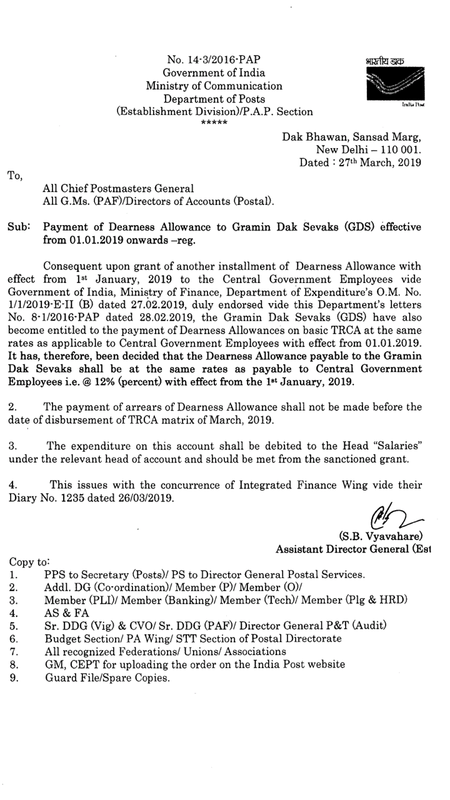 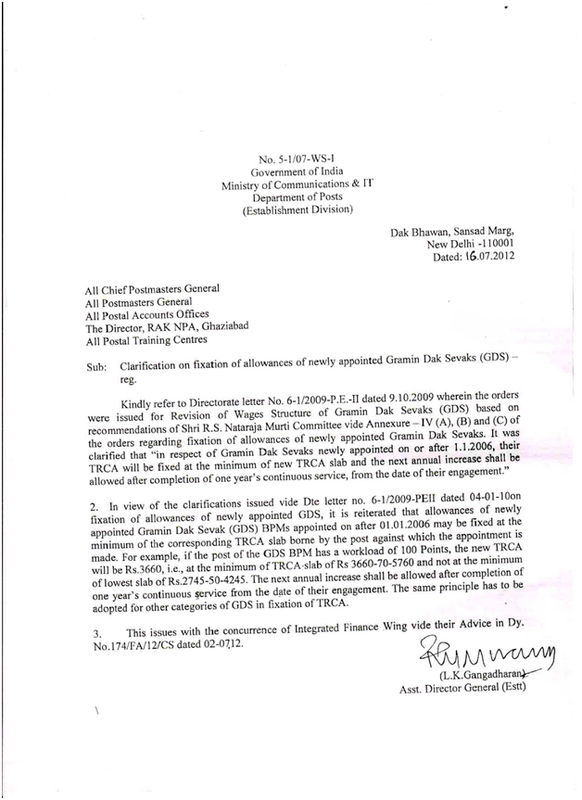 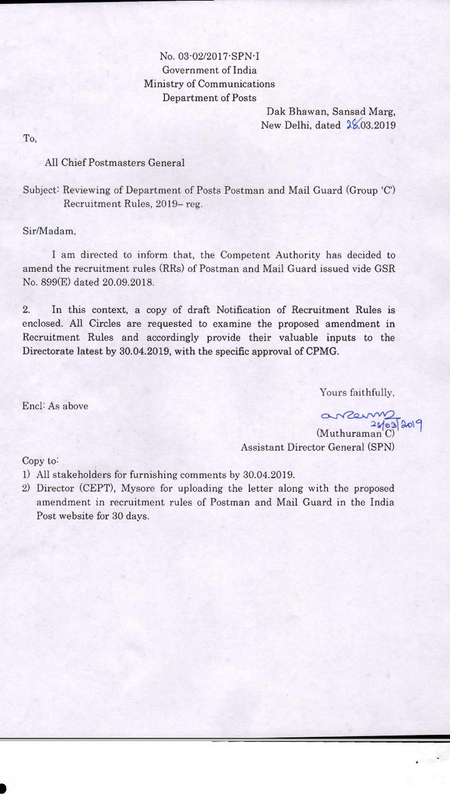 Closing of Central Government Offices in connection with General Elections to Lok Sabha 2019 and General Election to the Legislative Assemblies of Andhra Pradesh, Aruanachal Pradesh, Odisha and Sikkim and Bye- elections to fill the clear vacancies in Assembly Constituencies of various States- Grant of Paid Holiday- Reg. 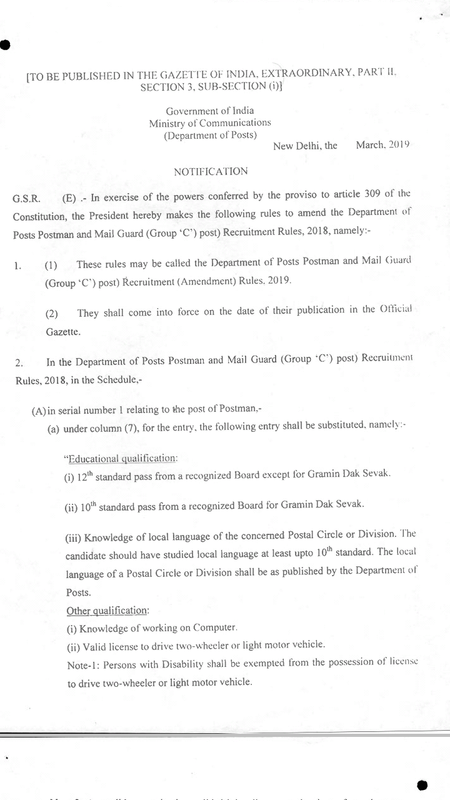 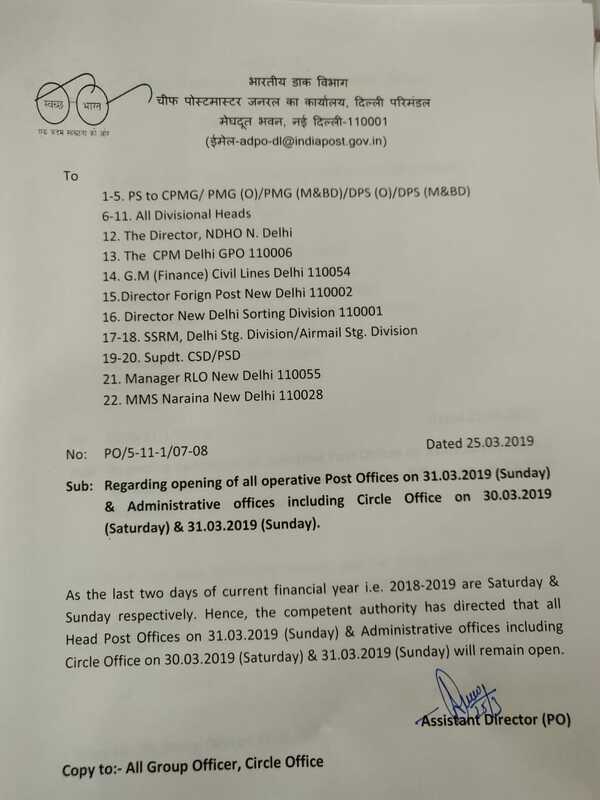 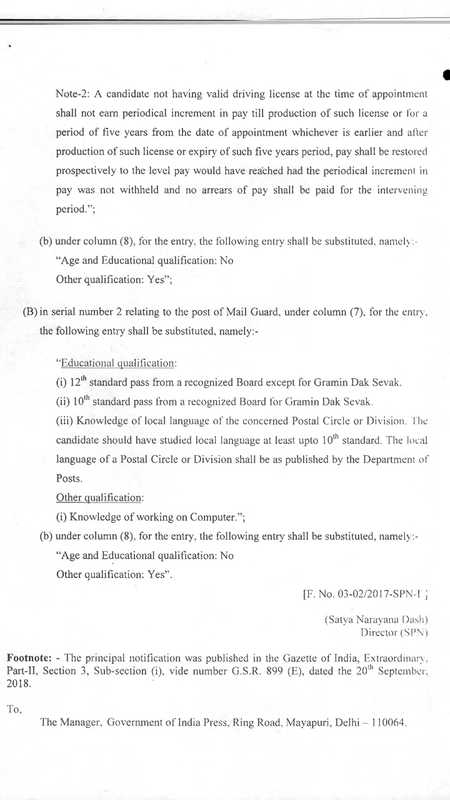 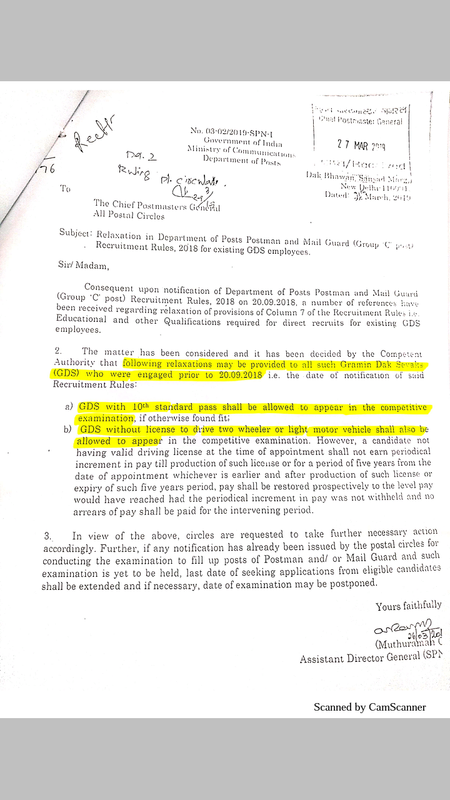 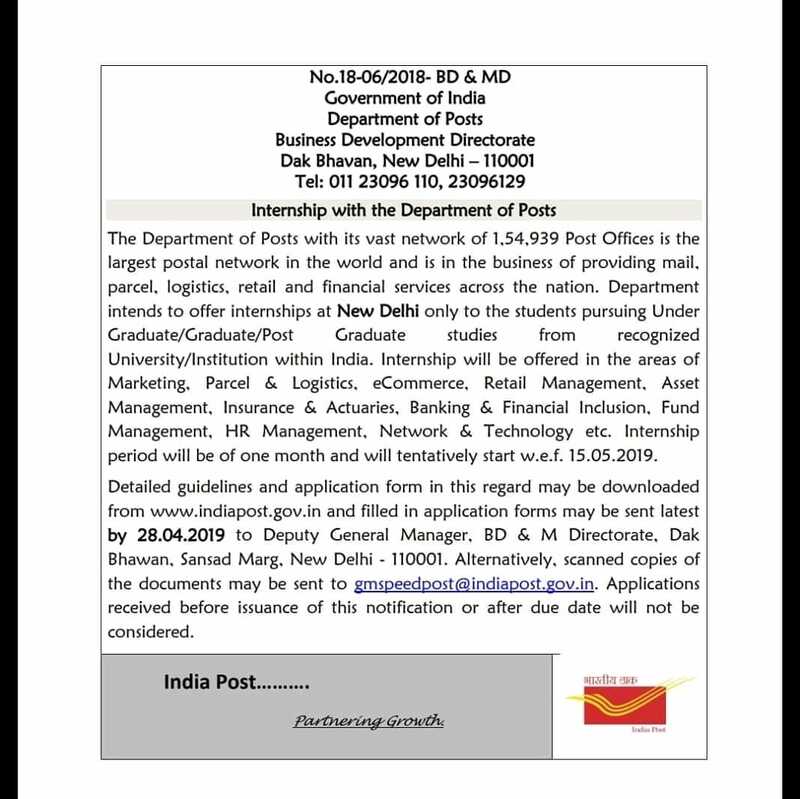 Relaxation in Department of Posts Postman and Mail Guard ( Group C Posts) Recruitment Rules , 2018 for existing GDS employees. 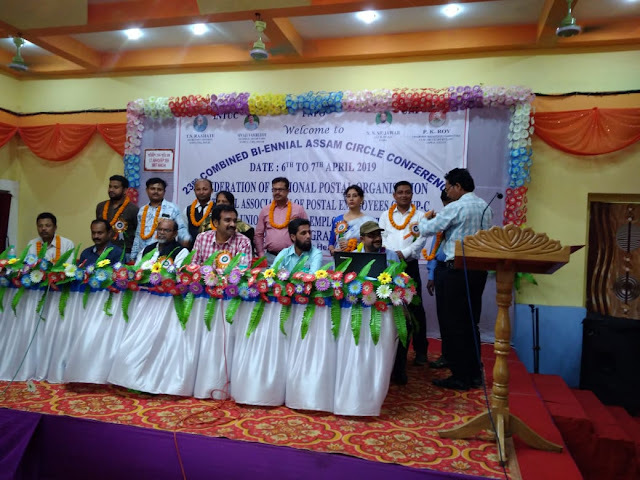 Joint biennial Assam circle conference of NAPE c, NUPE Piv and NUGDS. On 7-4-2018 23rd joint biennial Assam circle conference of NAPE c, NUPE Piv and NUGDS were held at Ashirbad Bhavan, Silchar under the Chairmanship of Sri P. K Roy. 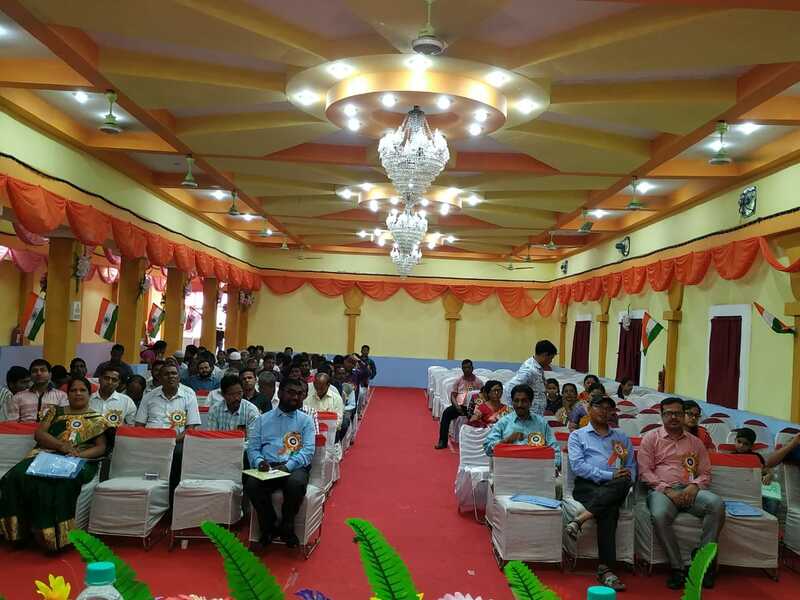 Sri TN Rahate, SG FNPO, Sri Sivaji Vasireddy, GS NAPE c, CHQ, Sri NN Mujawar, CHQ.Piv CHQ, Sri kowshik Chakroborthy, CS NUGDS, NE Circle and SSPos , Cachar Din were attended as guests and addressed the conference. 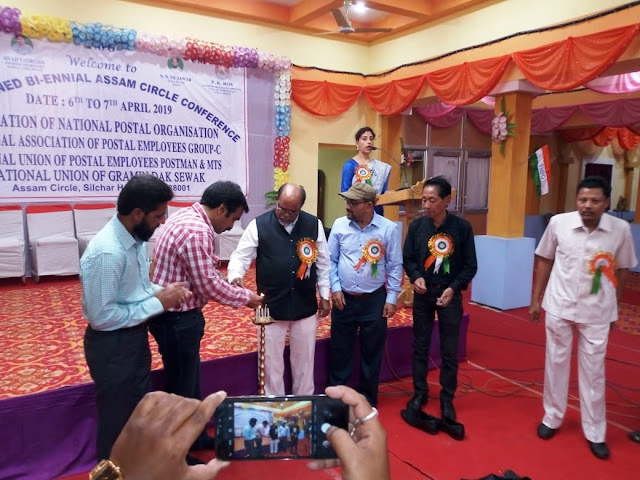 Sri Prasanth Kumar Roy, Sri Abdul Lais Chowdary and Sri Kishore Acharya were elected as NAPE c, Assam Circle President, Circle Secretary and Treasurer respectively and unanimously. 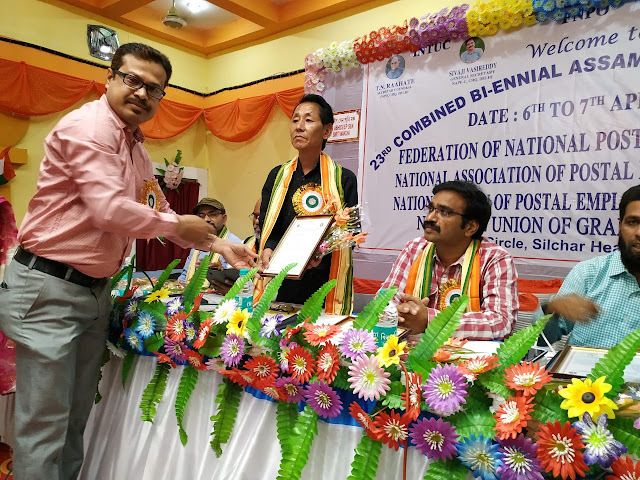 Sri Sandip Purkayastha and Sri Bittu paul were elected as Piv and NUGDS Circle Secretaries respectively. The CHQ conveys warm wishes to all the newly elected circle office bearers of three unions. 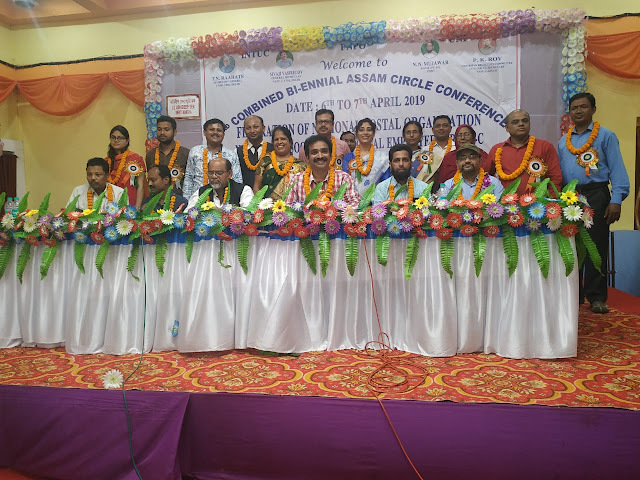 The reception committee held Circle conference in a grand manner and historic one. 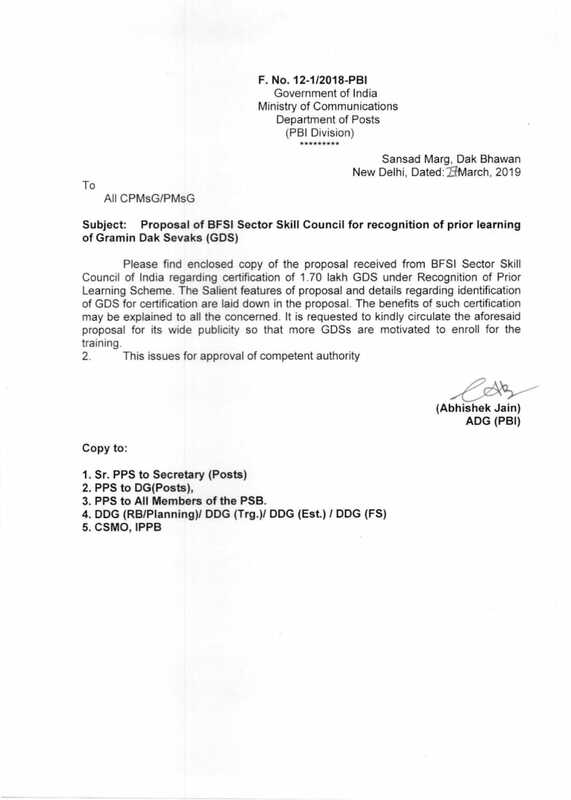 CHQ conveys congratulations to the all the activists who worked hard for conference. 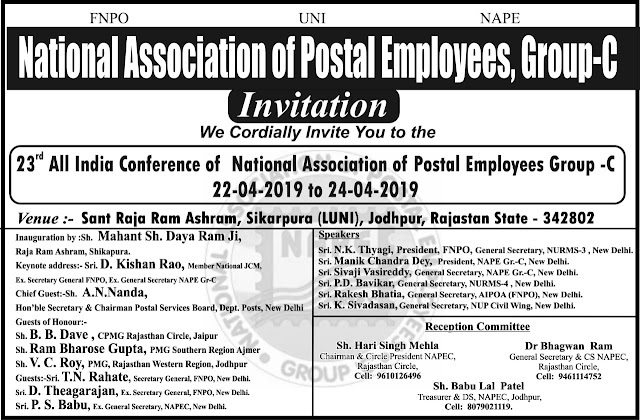 Smt Dulanchapa Das Paul elected as divisional secretary of NAPEc, Chachar Din. 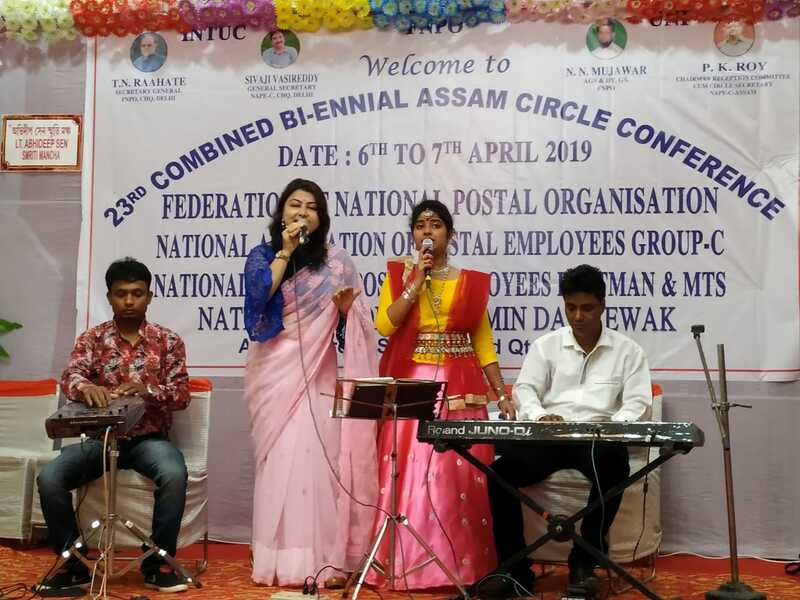 She is the first women DS in Assam circle history. Special wishes to her from CHQ. 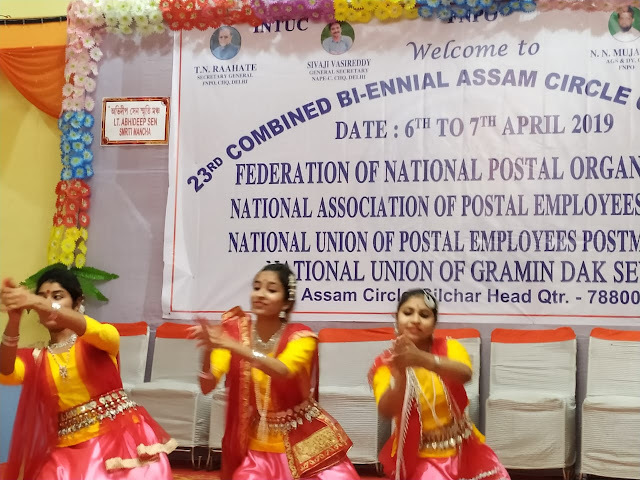 Beautiful cultural programmes we're arranged. 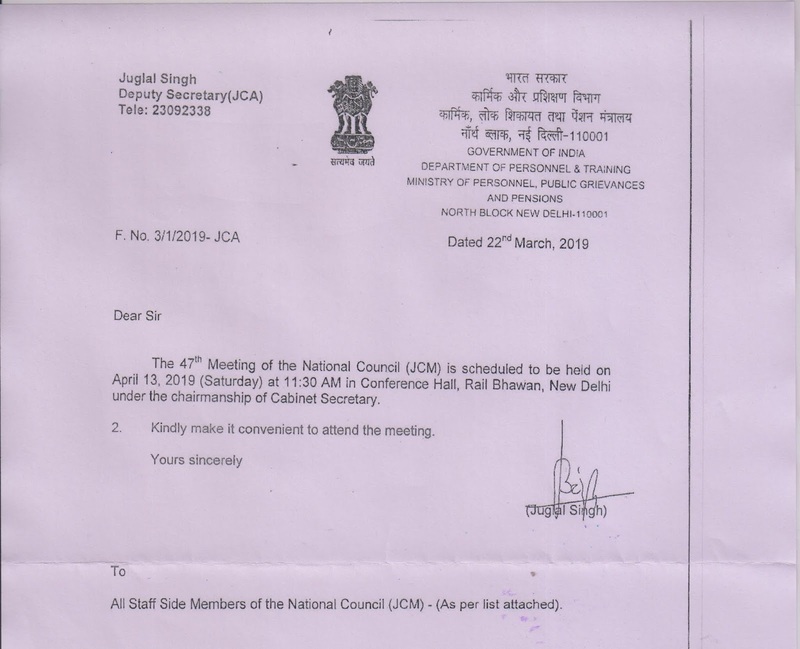 The meeting of the JCM is scheduled for tomorrow with Cabinet Secretary after nine years. Today the staff side meeting was held in Library,AIRF office at 1500 hrs under the chairmanship of Sri M.Raghavaiah NFIR.Sri Shiva Gopal Mishra Briefed the Agenda items. 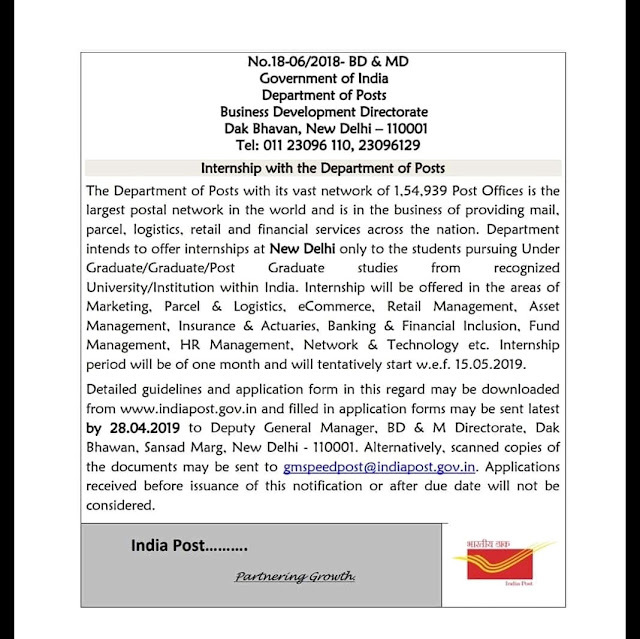 ( Available in the Website). 4.Regular meetings of JCM pattern. 5. 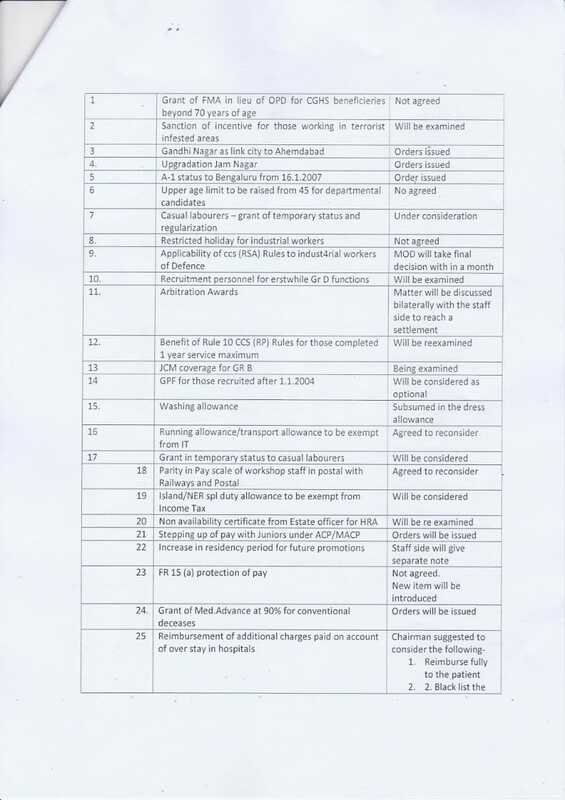 Implementation of policy based Court Judgments like MACP from 2006,MACP for the promotes Increment for the retirees etc. 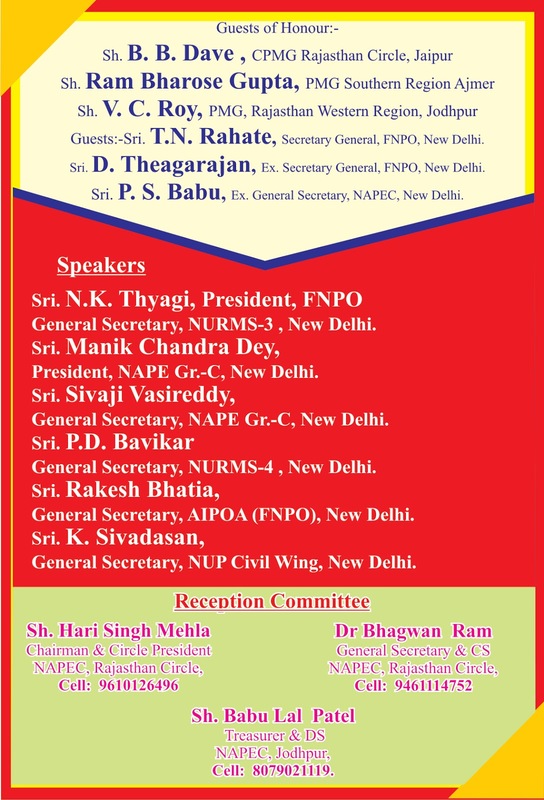 23 rd NAPE Gr- C All India Conference : Brochure. NAPE Gr-C All India Conference : Poster. 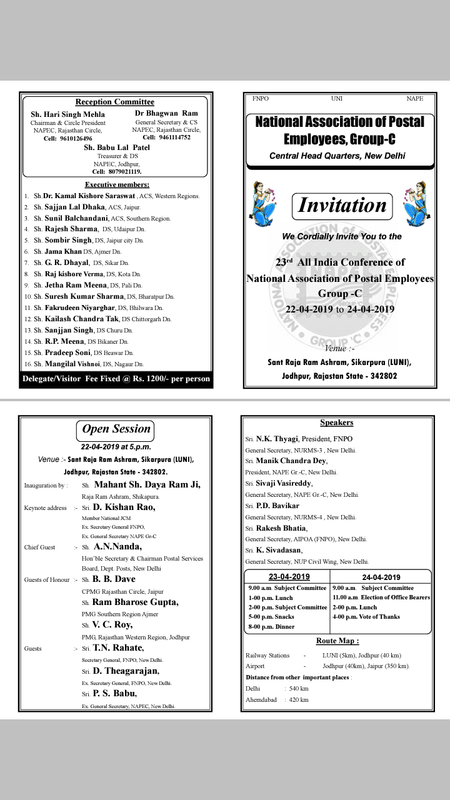 23 rd All India Conference of National Association of Postal Employees Group'C : Invitation. 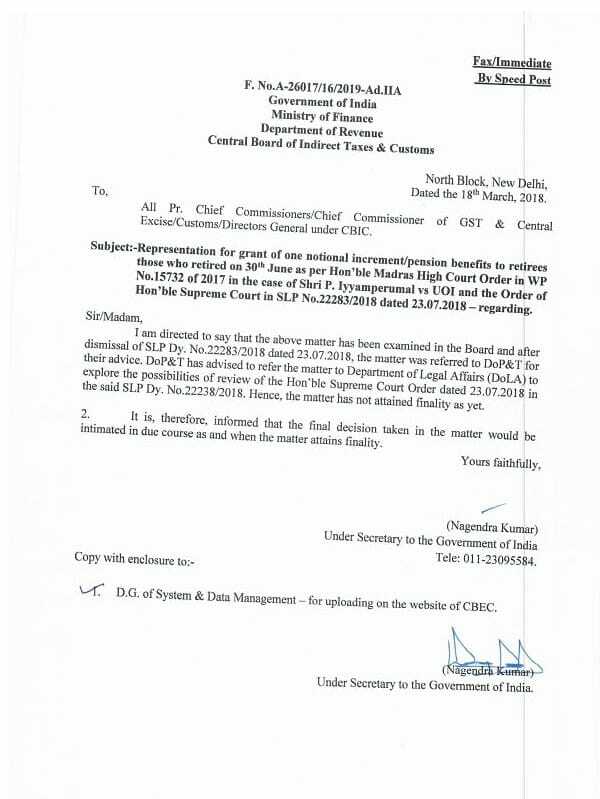 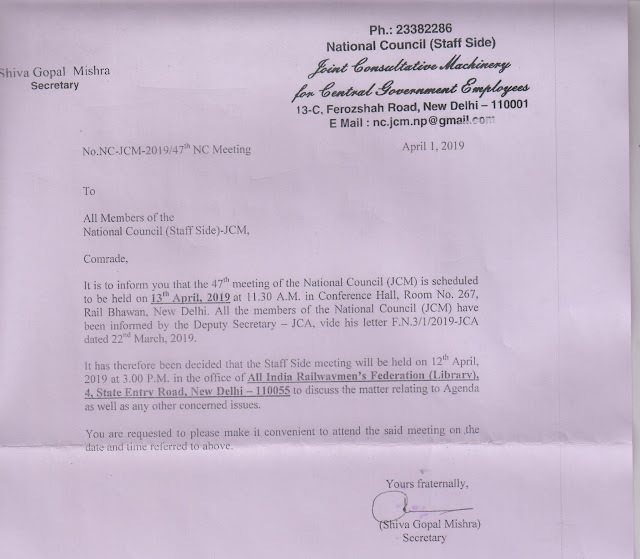 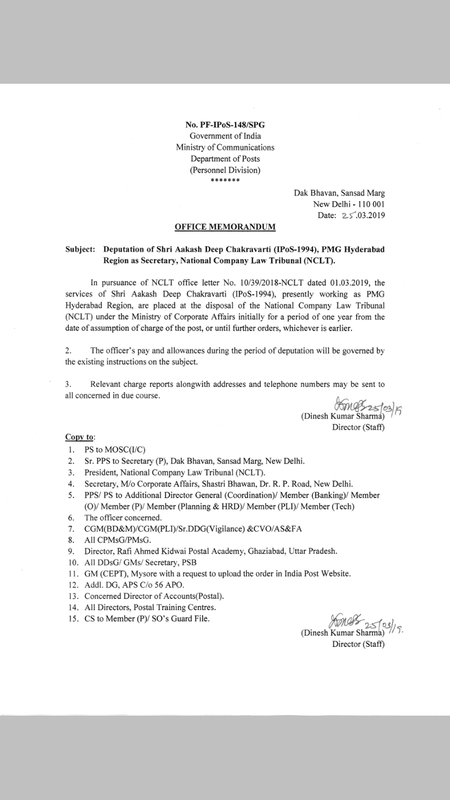 NC (JCM ) Meeting Notice : Meeting will be held on 13 th April 2019 under the Chairmanship of Cabinet Secretary, Govt.of India.